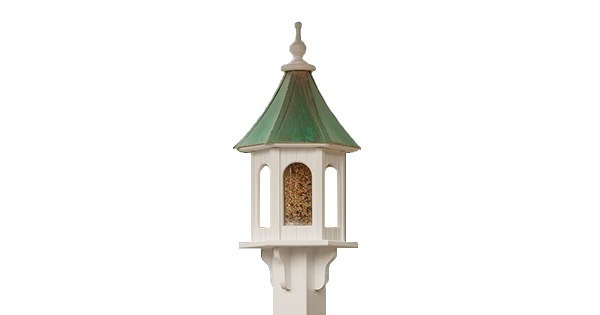 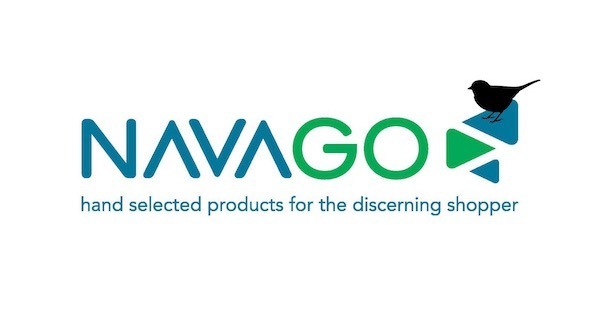 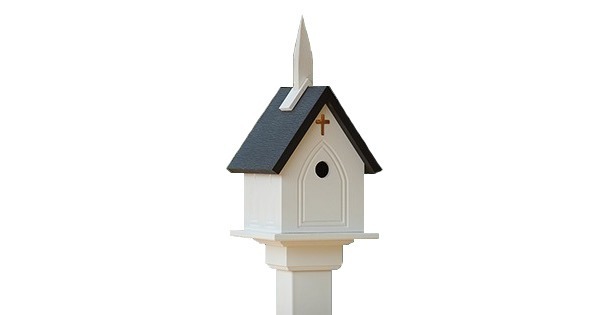 Attract an array of beautiful birds to your yard with this lovely Navago Bird Products 12" large capacity bird feeder. 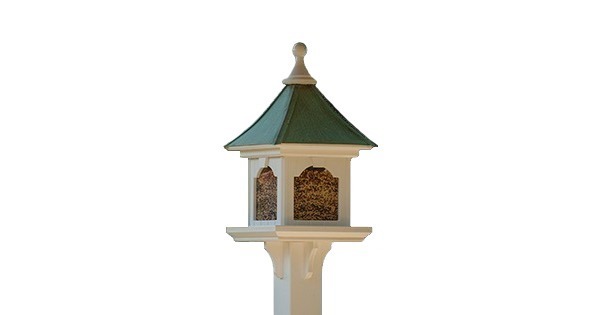 To fill large capacity bird feeders, lift finial and pour in seeds. 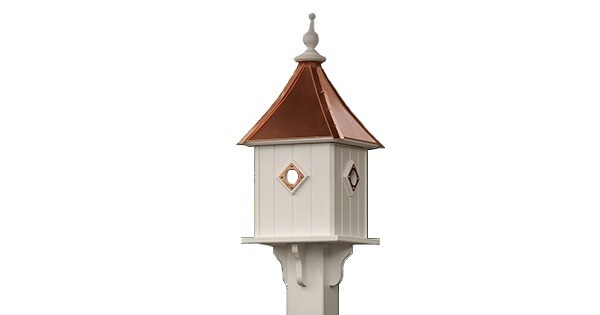 Bird Feeder available in Patina Copper or Bright Copper roof.